As part of their annual "Hall of Fame" banquet at Safeco Field, the Washington State Baseball Coaches Association announced 2014 Bellingham Bells pitcher Andrew Summerville as the recipient of the 2014 WSBCA High School Player of the Year. The Bellingham Bells will return their entire coaching staff for the 2015 season, the team announced today. The Bellingham Bells are excited to announce that Stephanie Morrell has been promoted to the role of assistant general manager, effective immediately. Previously, Morrell served as the team’s marketing director. To cap off a season that included their first ever West Coast League Championship, the Bellingham Bells have been awarded a variety of 2014 league honors, which were announced by WCL president Dennis Koho today. In a game that was representative of the entire series and the quality of the two teams, the Bellingham Bells edged out the Corvallis Knights 3-2 to win their first ever West Coast League Championship on Monday night. Bellingham scored first and never relinquished the lead, dodging several bullets along the way to force a decisive winner-take-all West Coast League Championship finale on Monday night against Corvallis. Bellingham took a 3-1 lead only to see it evaporate with one swing of the bat. Zach Johnson struck out seven and Scott Heath doubled, but the Bells fell to the Knights after a three-run home run did them in on Friday night. The Bellingham Bells are excited to announce that after defeating the Yakima Valley Pippins in the West Coast League Division Series, the Bells have advanced to the West Coast League Championship Series and will host Game Two of the series at Joe Martin Field on Sunday, August 17 at 7:05 p.m.
Danny Miller drove in Lou Della Fera from third in the bottom of the ninth inning to capture a 4-3 victory over Yakima Valley and catapulted the Bells into the 2014 West Coast League Championship series. Eder Erives and Dan Ludwig combined for 11 strikeouts and only one earned run, Dallas Carroll smacked a home run and Scott Heath doubled and tripled in victory. Seth Martinez (6-0) finishes his Bells season with seven shutout innings and nine strikeouts, Jack Klein collected four hits in 5-1 win over Black Bears. The Bells were without answers offensively on Saturday night as they were shut out by Cowlitz, 5-0. Bellingham managed only five hits in defeat and two costly errors enabled the Black Bears to jump out in front early. The Bellingham Bells are pleased to announce that Bellingham will host a playoff game at Joe Martin Field on Wednesday, August 13. Tickets are now on sale. After eight innings of baseball, both Bellingham and Cowlitz will have to wait to determine a winner of Friday's series opener. The Black Bears lead 10-9 in 9th after game suspended and will resume on Saturday night. After falling in Monday’s series opener, the Bells outscored Kitsap 14-6 in winning the final three games at the Kitsap Fairgrounds in Bremerton, Wash. Bellingham took the season series with Kitsap six games to three. In Wednesday’s opener, Ryan McMonigle (Concorida University) spun five innings of one-run baseball with five strikeouts. The righty retired 10 consecutive hitters to end his afternoon and won his third game of the season. After Kitsap scored the first run of the game in the second inning on a fielder’s choice groundout, the Bells came back with a run of their own in the third on an identical fielder’s choice groundout. From there, McMonigle turned it on and left with a 2-1 lead after Jack Klein (Stanford) drove in Chris Baker (University of Washington) in the fifth. “We’ve been able to rely on Ryan to get the job done for us on the mound, and he stepped up again today,” Bells assistant coach Dane Siegfried said. Scott Heath (University of Maine) drilled his fourth home run of the season over the right-centerfield wall in the sixth and provided the Bells with an insurance run, 3-1. Both ends of the doubleheader were seven innings long, as Dan Ludwig (Belmont University) tossed a scoreless inning of relief in the sixth and David Bigelow (Gonzaga) recorded his West Coast League-leading 13th save of the season with two strikeouts in the seventh. Both were selected to the WCL All-Star Team this season and give the Bells a tough lefty-righty punch out of the pen. Kitsap starter Rustin Sveum (Dixie State) allowed two runs and six hits in five innings as he endured the loss, falling to 0-5 this season. Offensively, the BlueJackets had no answer for the three-headed beast of McMonigle, Ludwig and Bigelow on the hill. Only three runners saw second base for Kitsap and only Matt Jackson (University of Washington) made it to third, as he eventually scored the first and only run. A two-run second inning gave the Bells the early momentum and starter Zach Johnson (Edmonds College) took it and ran with it. Klein scored on Nate Anderson’s (Bellevue College) single and Anderson scored on Lou Della Fera’s (University of Maine) groundout. Johnson, armed with a deadly pickoff move (38 pickoffs in 2 seasons with Edmonds) picked off two more runners on Wednesday and picked up his third win of the season. The southpaw struck out three, walked three and allowed three runs in five innings. Bellingham would tack on four more runs in the third to take a healthy 6-0 lead, highlighted by a two-run double from Klein and an RBI single from Hank Elliot (Chemeketa College). Elliot would finish with three hits in the second game, while Klein singled, doubled, walked, scored twice and drove in two. The BlueJackets would answer back, as they did the entire series. Jackson reached on an error, Corbin Duffy (Everett College) walked and Caylen Clardy (Oregon State) beat out an infield grounder for a hit to load the bases with no outs in the third. Nick Choruby (Texas A&M) grounded into a fielder’s choice that scored Jackson, while Zach Larsen (St. Martin’s College) drove in Duffy with a sacrifice fly. Kitsap would add another run in the fifth after Duffy doubled and scored, knifing the Bellingham lead to 6-3. The Bells would add one run in the seventh on an RBI sac-fly from Anderson, scoring Dallas Carroll (Utah) who led off the inning with a walk. Mo Ceja (UCLA) pitched two innings of scoreless relief for the Bells, who won for the third straight game and took the series, 3-1. Ceja struck out Larsen with a runner at second base to end the game- and the series. Bellingham will take a much deserved day off on Thursday and hit the road Friday for the final regular season series of ’14. The Bells will play Cowlitz at Story Field this weekend, with Friday’s opener slated to begin at 6:35pm PDT. Dave Grant will have the play-by-play on AM 930 KBAI and online at 930kbai.com, with the pregame starting at 6:05pm. Be sure to follow the Bells radio broadcast team on Twitter: @BellsRadio. Bellingham used five early runs to beat Kitsap on Tuesday night, including a 2-run single by Lou Della Fera (Maine). John Albert (Hawaii Pacific) picked up the win in relief for the Bells, who are a West Coast League-best 34-15. Walker Olis gave Bellingham the lead with his third home run of season, but BlueJackets made a six-run fifth inning hold up to win opener of four game series. Bellingham had not been swept in a series yet this season- and wasn't about to be on Sunday afternoon. Three home runs and another stellar start from Seth Martinez provided the Bells with a shutout road victory. The Bells fell behind early on Saturday night and managed another comeback, only to allow a bases-loaded walk that forced in the game-winning and walk-off run, falling to Victoria 6-5 in 11 innings. Bells to host WCL Division Playoff Game August 12 or 13, Tickets on Sale Now! The Bellingham Bells are pleased to announce that Bellingham will host a playoff game in the 2014 West Coast League Division Series, and that tickets are now on sale. The HarbourCats used a three-run fifth inning to down Bellingham in front of over 1,200 fans at Sports Traders Diamond at Royal Athletic Park in Victoria, B.C. on Friday evening. The Bellingham Bells are pleased to announce that the City of Bellingham and the Bellingham Bells will host the 2015 West Coast League (WCL) All-Star Game. Bellingham topped the Medford Rogues, 3-1 on Wednesday, clinching the West Coast League West Division title and a playoff berth in August. Dallas Carroll delivered a two-RBI single in the 1st inning and Bellingham used yet another strong pitching performance to top the Medford Rogues, 2-1 on Tuesday, July 29 at Joe Martin Field. Bellingham came back from two-run deficits twice before Medford rallied for three runs in extra innings to take an 8-5 win over the Bells in the series opener on Monday, July 28 at Joe Martin Field. Bellingham starting pitcher Aaron Sandefur came within two outs of a perfect game, and a pair of leadoff doubles sparked the offense for Bellingham as the Bells shut out the Cowlitz Black Bears, 2-0 on Sunday, July 27 at Joe Martin Field. Cowlitz starting pitcher Reza Aleaziz held the Bellingham offense in check for seven innings and the Bells were shut out for just the third time this summer, 3-0 on Saturday, July 26 at Joe Martin Field. Chris Baker lined a base hit into left field in the bottom of the 11th inning, scoring Dallas Carroll as the Bells took down the Cowlitz Black Bears, 3-2 on Friday, July 25 at Joe Martin Field. Bellingham scored six unanswered runs after Yakima Valley jumped out to a 5-0 lead. Scott Heath (University of Maine) drove home game-winning run and three relievers shut out the Pippins in the series-clinching victory. Dallas Carroll (Utah) and Colby Woodmansee (Arizona State) each blasted solo home runs on Wednesday night to back a workman-like outing from Gabe Cramer (Stanford) as Bellingham snapped a three game slide. Both Eder Erives (Arizona State) and Brandon Williams (Central Washington University) were sharp, as a pitcher's duel ended with Yakima Valley scoring five times late to hand Bellingham their third straight loss. Corvallis edged Bellingham in a pitchers' duel, scoring a go-ahead run in the 8th inning and handing Bellingham just its second series loss of the summer on Saturday, July 18 at Joe Martin Field. Corvallis starting pitcher Angel Landazuri pitched eight shutout innings with 10 strikeouts and the Knights scored two early runs to top the Bells, 2-0 on Friday, July 18 at Joe Martin Field. Seth Martinez shut down the Corvallis Knights for seven innings on the mound and two early home runs provided the offense as the Bells topped the Corvallis Knights, 4-1 on Thursday, July 17 at Joe Martin Field. The Victoria HarbourCats put at least one runner in scoring position each inning and scored four runs late in the game, snapping Bellingham's five-game win streak iwth a 5-3 win on Wednesday, July 16 at Joe Martin Field. Eder Erives pitched five perfect innings and three Bellingham relievers preserved a lead as Bellingham defeated the Victoria HarbourCats, 3-1 on Tuesday, July 15 at Joe Martin Field. Seven players will represent the Bellingham Bells at the 2014 West Coast League All Star Game, the league announced today. Zach Johnson threw seven strong innings to lead Bellingham in a pitchers' duel and the Bells got timely hitting late in the game to edge the Victoria Harbourcats, 2-1 on Monday, July 14 at Joe Martin Field. The Bells overcame stifling temperatures tonight in Kelowna to outlast the Falcons 8-7, earning the series sweep. The Bells made an early seven run lead hold up on Friday night at Elks Stadium in Kelowna, B.C. and got a masterful pitching performance from Aaron Sandefur (Bellevue College) to down the Falcons for the fifth time in as many tries this season. Bellingham scored a season-high 16 runs in Thursday's victory over the Falcons and capitalized on four Kelowna errors to move to a West Coast League-best 21-6 this season. The Kitsap BlueJackets jumped to a big lead early and never looked back, snapping the Bells' 14-game win streak with a 12-3 win on Wednesday, July 9 at Joe Martin Field. Dustin Breshears ignited the Bellingham offense with a 2-RBI triple and Nate Anderson added a 2-run single as the Bells defeated Kitsap 5-2 in front of a record crowd of 3,032 fans at Joe Martin Field on Tuesday, July 8. Scott Heath hit a 2-RBI single to jumpstart a 7-run 7th inning as Bellingham rallied extended its win streak with an 8-2 victory over the Kitsap BlueJackets on Monday, July 7 at Joe Martin Field. Dallas Carroll hit a go-ahead RBI single to highlight a two-run 8th inning as Bellingham rallied to win its 12th game in a row, taking down the Cowlitz Black Bears 3-1 on Saturday, July 5 at Joe Martin Field. Less than a full day after playing a 17-inning game, Bellingham was again tied with Cowlitz, 1-1 in the 7th inning on Friday. But right fielder Danny Miller hit a two-run home run to break the tie and highlight a three-run bottom of the 7th as the Bells went on to win their 11th game in a row, 5-1 over Cowlitz on July 4 at Joe Martin Field. Jimmy Sinatro's pinch-hit RBI single ended a marathon game as Bellingham outlasted Cowlitz 2-1 in 17 innings to extend its win streak to 10 games on Thursday, July 3 at Joe Martin Field. A 6-0 lead evaporated on Wednesday, but Walker Olis (Pacific University) played the hero after he delieverd a two-out RBI single in the ninth inning that proved to be the eventual game-winning run as Bellingham outlasted Wenatchee, 7-6. Bells got a two-run home run from Danny Miller (Chico State) in the sixth inning and a clutch relief effort from David Bigelow (Gonzaga) out of the bullpen to down the AppleSox and win their eighth consecutive game. Bellingham used four RBI doubles and plated six early runs to set the tone against Wenatchee in front of over 1,300 fans on Monday night. Danny Miller hit a solo home run and Scott Heath added an RBI single as the Bells edged Kelowna, 2-1 for their sixth straight win on Sunday, June 29 at Joe Martin Field. Aaron Sandefur threw 7 innings and gave up just one hit as Bellingham held off the Kelowna Falcons for a 1-0 win on Saturday, June 28 at Joe Martin Field. A rainy evening at Joe Martin Field didn't stop the Bellingham offense from rallying once again, as the Bells earned their seventh come-from-behind win of the summer, taking down the Kelowna Falcons 6-4 on Friday, June 27 at Joe Martin Field. Danny Miller hit two 3-run home runs to lead Bellingham in a high-scoring comeback effort as the Bells overcame a five-run deficit to defeat the Everett Merchants 14-7 Wednesday, June 25 at Joe Martin Field. Colby Woodmansee hit a grand slam home run in the bottom of the sixth inning, the second grand slam in as many games for Bellingham, and five Bells pitchers held the Everett Merchants to three hits in a 5-0 win Tuesday, June 24 at Joe Martin Field. Scott Heath hit a grand slam home run to highlight a five-run fifth inning and Bellingham avoided a sweep with an 8-1 win over the Bend Elks on Sunday, June 22 at Joe Martin Field. The Bellingham Bells high-scoring offense was held in check for the second consecutive night, as Bend became the first team to shut out the Bells this season with a 3-0 win on Saturday, June 21 at Joe Martin Field. Bellingham was unable to maintain a one-run lead in a pitchers' duel against Bend, as the Elks rallied for two eighth-inning runs and edged the Bells 2-1 Friday, June 21 at Joe Martin Field. Eder Erives (Arizona State) hoped to follow in the footsteps of both Grant Goodman (University of San Francisco) and Seth Martinez (Arizona State) on Wednesday night against Victoria. Those footsteps included an eight inning gem by Martinez last night and a workman-like effort from Goodman on Monday night. Erives was more than up for the challenge, as he four-hit the HarbourCats through five innings, allowing a lone run and striking out five en route to his first win of the season. Bellingham scored two runs in the third inning to stake Erives to a lead that he took off and ran with. "He hadn't pitched for a little while (when he arrived here from ASU)," said Bells pitching coach Jim Clem of Erives on the postgame show. "He's a very good pitcher and he loves to compete." Eric Webber (Georgetown) and Nate Anderson (Bellevue) both scored in the third inning, and after a solo home run from Victoria's Alex DeGoti (Long Beach State) in the bottom of the third, Erives settled down and retired his last seven batters in succession- three by strikeout. Bellingham would add another run in the fifth inning off a solo home run by Anderson, his first of the season, and took a 3-1 lead into the sixth where Klein made the HarbourCats pay. After Dylan Garcia (Chico State) singled and Walker Olis (Pacific University) reached on an error, Klein drilled the first pitch he saw in the sixth inning into the right-centerfield gap to plate two more Bells runs. Ian Yetsko (Oakland University) would drive in Klein and put the Bells up 6-1 after six. "It's just so impressive," Clem said of Bellingham's offensive capabilities. "They go about their business everyday like it matters. These guys push each other and work hard. They get their workouts in and then turn it on in a game which is what I love the most." Seven different players scored for the Bells in Wednesday's win, proving that depth is what truly makes this team so dangerous offensively. For Victoria, they were again left searching for answers at the plate, and finished with only five total runs in the three game series. Hunter Mercado-Hood (University of San Diego) managed two singles, while DeGoti hit his second home run of the season. Erives and the Bells bullpen feasted on the HarbourCats seven thru nine hitters- striking them out five times in nine at-bats. The damage could have been much worse for Victoria, as the Bells left nine runners on base in the victory. Mikey Wright (San Jose State) suffered the loss, as he labored through six innings and allowed six runs (four earned) with three walks and three strikeouts. Defensively, the HarbourCats made four more errors on Wednesday night, and finished with eight errors in the series. Bellingham scored 10 runs off the Victoria bullpen in the three game sweep and took advantage of the sloppy HarbourCats defense. Bellingham has now scored six-plus runs in all but one of their first 11 games this season and have scored a total of 94 runs, which leads the entire West Coast League. The Bells pounded out 33 hits in the series and outscored Victoria 23-5. Combined with losses by Cowlitz and Kitsap on Wednesday, Bellingham now has a one game lead in the West Coast League West Division entering the weekend. Bellingham has a day off on Thursday and returns to Joe Martin Field for the start of a three game series with the Bend Elks on Friday, June 20 at 7:05 PM PDT. It begins a lengthy homestand for the Bells, coming off a 4-1 road trip against Kitsap and Victoria. Dave Grant has the calls this weekend, beginning 30 minuntes prior to every first pitch and can be heard on AM 930 KBAI. Fans can also tune in through www.bellinghambells.com by clicking the "listen live" icon. Bellingham clinches series with victory on Tuesday night, as Seth Martinez struck out 10 HarbourCats and Jimmy Sinatro drove in two with a triple and sac-fly. Bellingham continues offensive surge, pounds out 14 hits and tallies nine runs in opener at Royal Athletic Park. Bellingham scored three times in the top of the ninth inning but left the game-tying run on second base in a 10-8 defeat at Kistap on Saturday night. With first-place on the line in the West Coast League's West Division, the Bellingham Bells wasted little time in making their presence known in Bremerton, Wash.
Shortstop Colby Woodmansee hit a 3-run home run and first baseman Danny Miller added a solo homer to highlight a strong comeback for the Bells as Bellingham overcame an early 5-0 deficit and took the series against Klamath Falls with a 9-8 win on Wednesday night at Joe Martin Field. Bellingham continued to display its stellar early-season offense Tuesday night by scoring early and often, including a nine-run fourth inning, in a 12-3 win over Klamath Falls. Klamath Falls took a late lead from Bellingham with two ninth-inning runs and the Bells left the tying run on third base in the bottom of the ninth as the Gems held on for a 5-4 win on Monday night at Joe Martin Field. On a night when the stakes were the highest, Bellingham wasted no time picking up where they left off in the first two games against Walla Walla on Sunday night at Borleske Stadium. After falling behind by 10 runs, the Bells scored six unanswered runs to claw their way back and turn an early blowout into an interesting affair Saturday night at Borleske Stadium in Walla Walla, Wash. The Bells opened up the 2014 summer season by pounding out 14 hits and outscored Walla Walla 9-1 in the final four innings to pull away and win, 11-3. The Bellingham Bells have announced plans to honor Whatcom County emergency services personnel during a “Hometown Heroes” celebration on Tuesday, July 8. The Bellingham Bells are excited to announce that they will present three fireworks displays during summer 2014. The Bellingham Bells and Peoples Bank have announced plans to partner on a Team Poster giveaway for the 2014 season. Stanford University’s Gabe Cramer has been added to the 2014 Bellingham Bells pitching staff, the team announced today. The Bellingham Bells are pleased to announce that infielder Dallas Carroll and outfielder Jack Klein have been added to the 2014 roster. Single game tickets for the 2014 Bellingham Bells Season will officially go on sale Friday, May 9, the team announced today. The Bellingham Bells have partnered with Sound Beverage to present a special bobblehead honoring Bells pitching coach Jim Clem. The Bellingham Bells and Sport Restaurant will partner on a jersey auction fundraiser benefiting research for Lou Gehrig’s Disease (ALS), the team announced today. The Bellingham Bells are excited to announce a new promotion for the 2014 season designed to honor and appreciate Moms. The Bellingham Bells plan to honor current and former members of the United States Military before and during all Wednesday home games during the 2014 season, the team announced today. The Bellingham Bells have announced the return of “Two Dollar Tuesdays,” a fan favorite promotion from 2013. The Bellingham Bells and Industrial Credit Union are excited to announce the return of “Family Fun Day Sundays” for the 2014 Bells season. 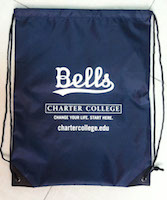 The Bellingham Bells and Charter College are excited to announce plans to partner on a back to school themed promotion at Joe Martin Field on Friday, July 18. The Bellingham Bells have partnered with Smith Kia to present the first bobblehead giveaway of the 2014 season on Saturday, June 28. The Bellingham Bells have completed the 2014 roster with the addition of four ten-day contract players. The Bellingham Bells are currently accepting applications for host families for the 2014 season. Chico State University’s Dylan Garcia and Danny Miller and Lower Columbia College’s Conner Switzer have been added to the Bellingham Bells roster for summer 2014. Pitchers Grant Goodman and Dan Ludwig have been added to the Bellingham Bells pitching staff. The Bellingham Bells are pleased to announce that right-handed pitcher Branden Kelliher and outfielder Daniel Timmerman have been added to the 2014 roster. The Bellingham Bells have added two more players to the 2014 roster. Oakland University’s Ian Yetsko and UCLA’s Moises Ceja will join the team for summer 2014. The Bellingham Bells are excited to announce the addition of two more Arizona State Sun Devils to the 2014 roster. The Bellingham Bells have added Arizona State University right-handers Hever Bueno and Eder Erives, both freshman pitchers for the Sun Devils, to the pitching staff for summer 2014. The Bellingham Bells are excited to announce the addition of outfielder Brian Doran and catcher Eric Webber to the 2014 roster. The Bells are excited to announce the addition of two pitchers from the University of Maine to the 2014 roster. Burk FitzPatrick and Scott Heath will join the Bells pitching staff in summer 2014. The Bellingham Bells announced today the addition of two more players to the 2014 roster. University of Washington infielder Chris Baker and left-handed pitcher Henry Baker will both join the Bells for summer 2014. The Bellingham Bells have added two Gonzaga University players to the 2014 roster. Right-handed pitcher David Bigelow and catcher Jimmy Sinatro will join the Bells for summer 2014. The Bellingham Bells have added two players to the 2014 roster. Right-handed pitcher Tanner Olson and second baseman Dustin Breshears will take the field for the Bells in summer 2014. The Bellingham Bells have recently hired Dave Grant to be the voice of the Bells for the 2014 season. Grant will provide play-by-play commentary for all 56 games during the summer. The Bellingham Bells are pleased to welcome back two players from the 2013 roster. Outfielder Nate Anderson and right-handed pitcher Michael Rucker will rejoin the Bells for the summer 2014 season. The Bellingham Bells are excited to announce the return of two players for the 2014 season.